Call the tow truck! 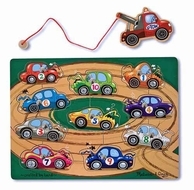 This magnetic wooden puzzle game features fun, automotive artwork. 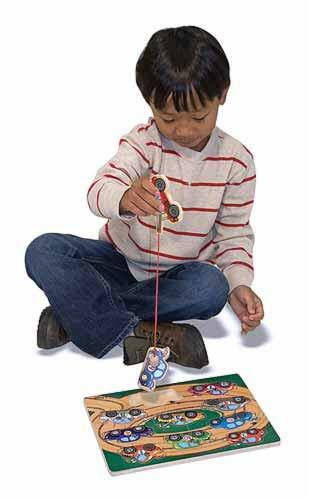 Use the magnetic truck to "tow" the ten numbered cars from the game board. Enjoy challenging fun returning the cars to their correct spots! A creative way to encourage hand-eye and fine motor development.